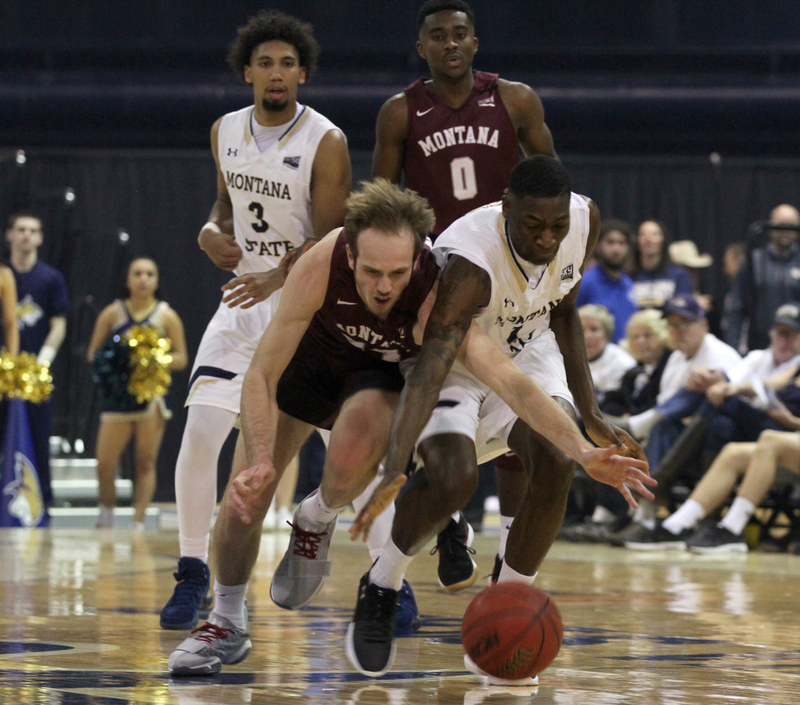 Travis DeCuire would be the first to admit there was a short period of time before Montana kicked off its current men’s basketball season where the Grizzlies were feeling sorry for themselves. Less than a week before UM’s season opener against Whitworth, DeCuire, his staff and the Grizzlies found out that Donaven Dorsey would miss the entire season because of hip surgery conducted in October. 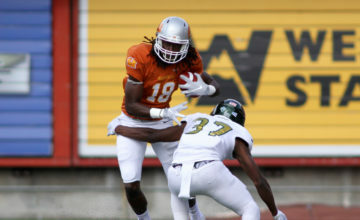 The talented Washington transfer was expected to be a key cog for a Griz team looking to bounce back from last season’s disappointing 16-16 finish. But it’s been the resurgence of junior Bobby Moorehead that has helped Montana not blink with Dorsey’s basketball future in question. 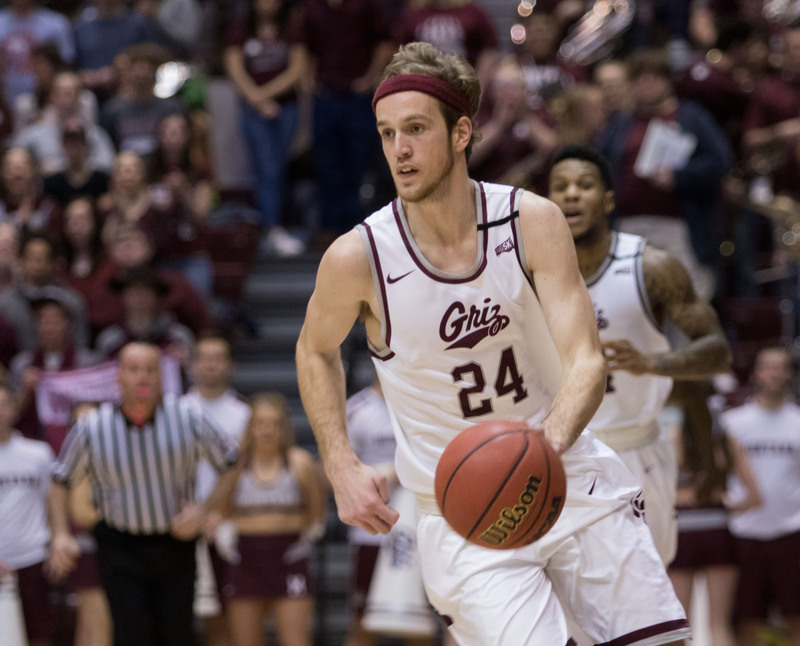 Montana enters its upcoming home stand — the Griz host Portland State Thursday and Sacramento State Saturday — on a slew of streaks. UM has won 11 straight Big Sky Conference games, the most since 2013 and the second-most since the school joined the Big Sky in 1963. 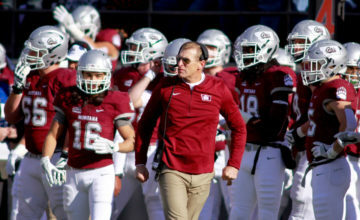 Montana has won a school-record seven straight road games and will put its 9-0 home record on the line this weekend. Many expected Montana to contend for a league title with the return of the All-Big Sky backcourt of Ahmaad Rorie and Michael Oguine paired with a rotation also expected to include Dorsey, senior four-year starting post Fabijan Krslovic, Pridgett and junior transfer center Jamar Akoh. 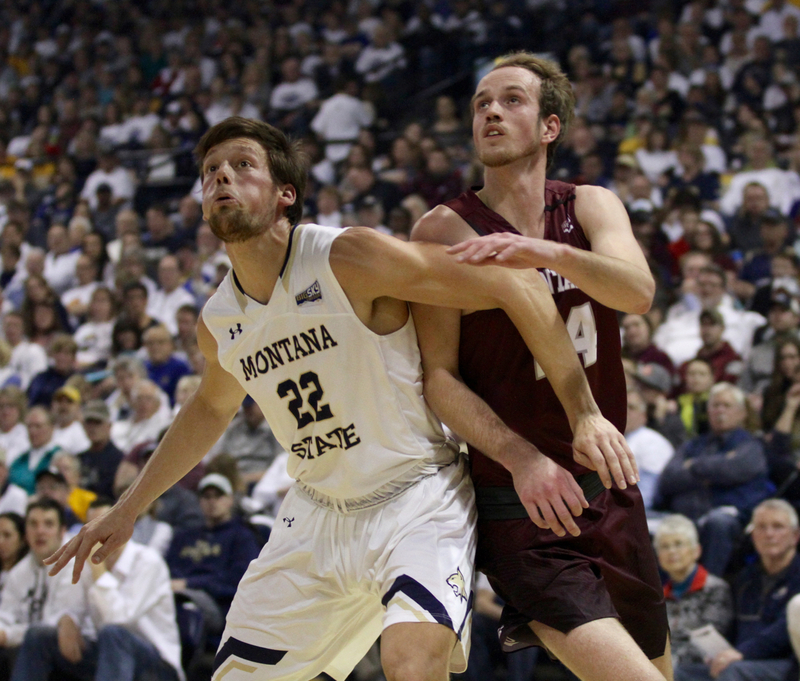 When Dorsey went out, Moorehead stepped up and has been the lynchpin for Montana’s stingy defense, one of the team’s best rebounders and recently, a crucial scorer that has the Griz in first place staring down a schedule with five of their last seven at home. Moorehead knew he would play some sort of role this year on the Grizzlies, but when he found out about Dorsey’s injury, his mindset shifted into a competitive high gear. Moorehead is averaging modest numbers in Big Sky play — 6.6 points and 5.7 rebounds — but his diversity, his ability to play with the three-headed scoring monster of Rorie, Oguine and Akoh and his overall toughness have made the absence of Dorsey a distant narrative as the final month of the regular season gets underway. The 6-foot-7 Tacoma, Washington native has led his team in rebounds four times during conference play, including notching a career-high 12 rebounds in UM’s 67-52 win at rival Montana State last month. 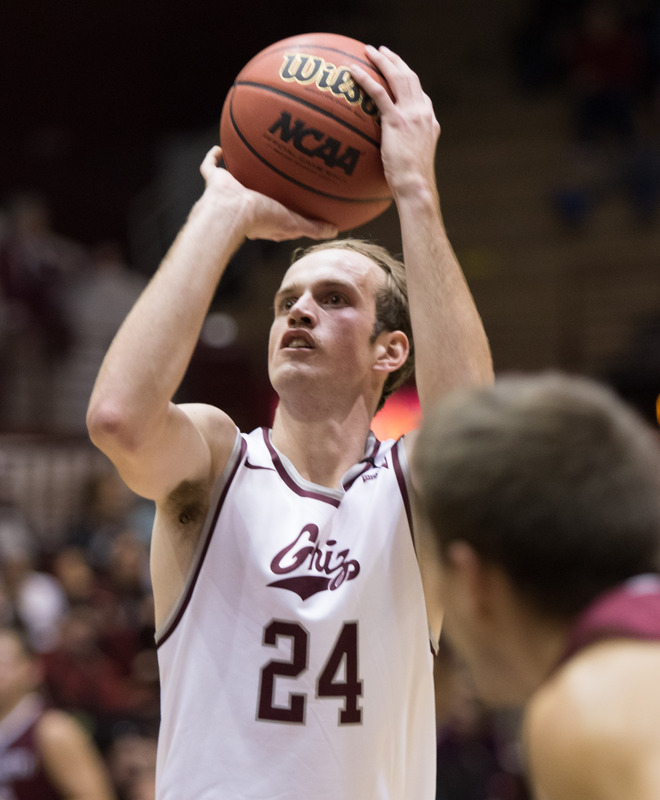 That same evening, he shadowed Montana State star Tyler Hall for most of the night, holding Hall to 10 points and not allowing him to make a shot after halftime as the Griz won the second 20 minutes by 15 points after a first-half tie. 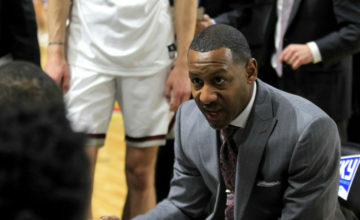 “Bobby did a great job of taking Tyler out of his game and you saw what that did to their team,” Oguine said a few days after the rivalry win. “I feel like we took the life out of them and they didn’t really respond. Without a jersey on and just his tight fitting under garment, Moorehead is anything but a hulking physical presence. He is listed at 182 pounds on his 79-inch frame. But his has gotten significantly stronger. Moorehead averaged 26.5 points and 11.0 rebounds per game in earning Narrows League MVP honors at Stadium High. He showed flashes of that during his Griz career, like a 24-point game as a true freshman in which he drilled eight 3-pointers against Idaho State. This season, he’s risen to the occasion when teams have went all in on stopping Akoh, Oguine and Rorie. 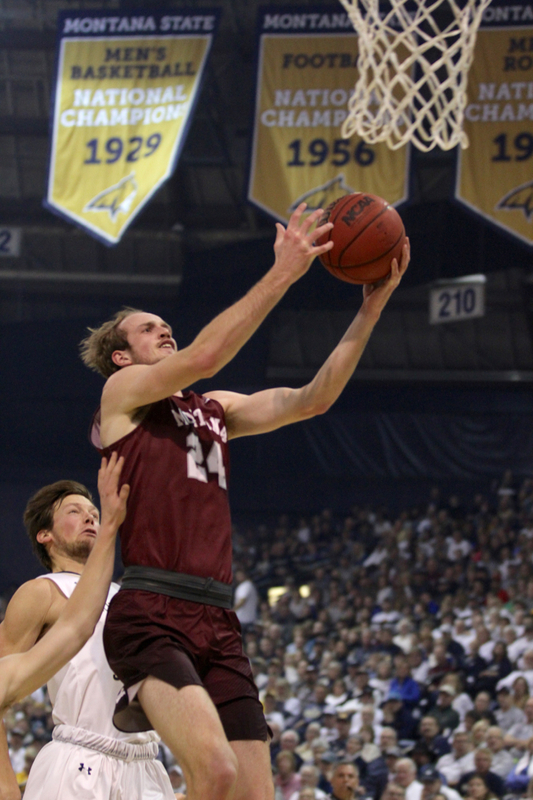 In Montana’s 88-79 win at Northern Colorado last week, Moorehead proved he could shoulder the scoring load as well. With the Bears pressuring and denying Oguine and Rorie on the perimeter and doubling Akoh in the post, Moorehead and Krslovic found themselves with single coverage or open shots all night. Krslovic hit 8-of-10 shots and scored a season-high 21 points. Moorehead knocked down almost every single one of his open shots, including 4-of-5 from beyond the arc in scoring a season-high 18 points. Moorehead has scored in double figures in eight of Montana’s 23 games. He is shooting 36.8 percent from eyond the arc, enough to keep opponents honest with their defensive rotations when so much attention is paid to his teammates. “If he can hit shots for us, it opens things up,” Akoh said. “People can’t help off of him. Entering last season, with Dorsey and Akoh on the bench due to NCAA transfer rules, some expected Moorehead would be a breakout sophomore. Instead, he struggled miserably to make shots, shooting 32 percent from the floor, 29 percent from beyond the arc and just 68 percent from the free throw line. He averaged 3.9 points and 2.8 rebounds, rendering himself a non-factor. In the off-season leading up to his junior year, he went to work. Whether it’s defaulting on offense and making the extra pass when Montana’s big three scorers are locked in or he’s grabbing nine rebounds like he did twice in a sweep of Southern Utah or he’s hitting key 3-pointers to keep the action close like he did in UM’s first win in four years at Sac State, Moorehead’s impact on this season’s Grizzlies has been crucial.